As soon as he presented his art to the museum’s curator he was strongly encouraged to do more. His initial creation is shown here. By Rod Chase. --- Personally Hand Signed by Rod Chase ---. " LIBERTY'S LIGHT ". SOLD OUT limited-edition CANVAS. Washinton, DC --- THE WHITE HOUSE. (WE ARE AN AUTHORIZED COLLECTIBLE FINE ART GALLERY). 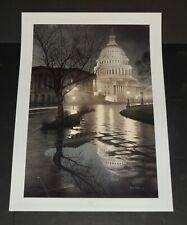 Gene Stocks "Late Flight art print" signed LE 757/5500 34x29"
This is a very nice art print. 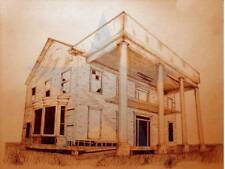 Majestic Pride- This two story Greek Revival Colonial structure was built in Georgia during the antebellum period, between 1849 and 1865 when the chivalric and agrarian society flourished in Atlanta and the south. This was a real house about to be swallowed up by the low valley lake. Thomas Kinkade - Elegant Evening at Biltmore. My challenge in painting Elegant Evening at Biltmore® was not to convey the heroic scale of this fairy-tale castle, but to make it warmly personal. I utilized glittering lights to suggest a festive evening affair in progress. John Kollock "Snap Beans" Print. Signed and numbered John Kollock Print #326/750, titled “Snap Beans”. Signed & Numbered. Neoclassical ΗΟΜΕ ΙΝ plaka ΑΤΗΕNS,etching Christodoulos Galntemis 1996. Doug Laird. This is asigned andnumbered print. AB, SK, MB, QC, PEI & Yukon = 5% GST. Very good condition, few minor creases in margins, 2 small tears on edges. This crib barn was built in an agrarian setting in the late 1800’s or early 1900’s.
" 912 ERWIN". #21 ART LITHOGRAPH. The nature of. ( different fro the numbered edition) or with a unique crop. a master set of images. The art is. This opitical art is personally hand crafted by the. VIEW OF CA 'GRIMANI S. LUCA PALACE IN OVER THE GRAND CANAL Very good condition, creases in margins, staining. Plate size 15" x 20". Winter Splendour - Limited Edition Print. Doug Laird. This is asigned andnumbered print. AB, SK, MB, QC, PEI & Yukon = 5% GST. Doug Laird. Rose House Lane - Limited Edition Print. This is asigned andnumbered print. AB, SK, MB, QC, PEI & Yukon = 5% GST. 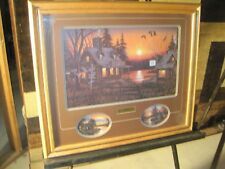 Up for your consideration is this great Signed and Numbered Print From the well known artist Alan Sundal. His bio is below if you have never heard of him. His range in art work is incredible and many of his original works are in many museums. Art Showing is 13" Wide x 9" High. It is not signed with a date. Beautiful Piece of Art. This print is in great condition. See all the pictures. Rom his Smoky Ridge studio in Texas, Atkinson seeks to “capture the emotion, be it subtle or exaggerated,” a pursuit that has been in evolution since he started painting as a child in the northwest Texas town of Lubbock. Kipniss deals not only with form in its most abstract generality but also with color in its most abstract generality – things black, white and gray. The poetic landscapes of Robert Kipniss are dreams which lead us to discover the special unity of man and nature. Houmas House Plantation. The Houmas, also known asBurnside Plantation and currently known asHoumas House Plantation and Gardens, is a historicplantation complex andhouse museum inBurnside, Louisiana. By Rod Chase. --- Personally Hand Signed by Rod Chase ---. " WINTER'S EVE ". SOLD OUT limited-edition CANVAS. Washinton, DC --- THE WHITE HOUSE. (WE ARE AN AUTHORIZED COLLECTIBLE FINE ART GALLERY). 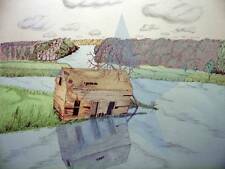 Rare Richard Neuman print Null Farmstead Springboro, Ohio. Done in 1992. Back has biography of artist, signature in pen and the number. This is 60 out of 126 made. Non-smoking home. ‘Verlag von B.G. Teubner in Leipzig’ (Translates: Publishing House von B.G. Teubner in Leipzig [Germany]), as appears printed upper middle in the margin area, and whose printed logo (a crest with BG back-to-back [B backwards] on either side of the larger T ), as appears printed lower right in the image area above the artist’s printed signature. Marge always hides a cross in her paintings. 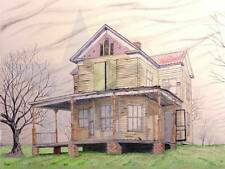 This Old House. From Easton Pennsylvania, November 1935. Walker Evans Arched Bridge, Houses and Mill, Bethlehem, Pennsylvania November 1935. Easton, Pennsylvania on the Lehigh River. See all our Walker Evans and other darkroom photographs at Trudylake. Walker Evans. Fantastic photograph of Squirrel Point Light located in Maine. this lighthouse was established in 1898. Squirrel Point Light, located on Arrowsic Island, is one of four lighthouses along the Kennebec River's. For your consideration - A Previously Owed - Original Photograph by Jim Dow. The Photo is Titled "Small Craft Warning" April 1993 in Chatham, Mass. SMFA.Tuffs.Edu/bio/Jim Dow. The photo is signed on the Matt "Dow 93". The print is 14" X 11" overall with an 8" X 6 1/4" picture area on textured cream-colored paper. There is slight softening to the corners but overall condition is very good. This has all of the artist's information on the reverse and she is from Quebec,Canada. Ready to hang upon arrival. This two story Greek Revival Colonial structure was built in Georgia during the antebellum period, between 1849 and 1865 when the chivalric and agrarian society flourished in Atlanta and the south. 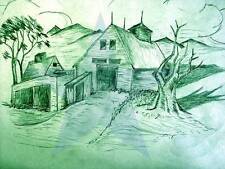 Slavery was the backbone on which this farmland, beautiful architecture and the comfort of the landowners depended.